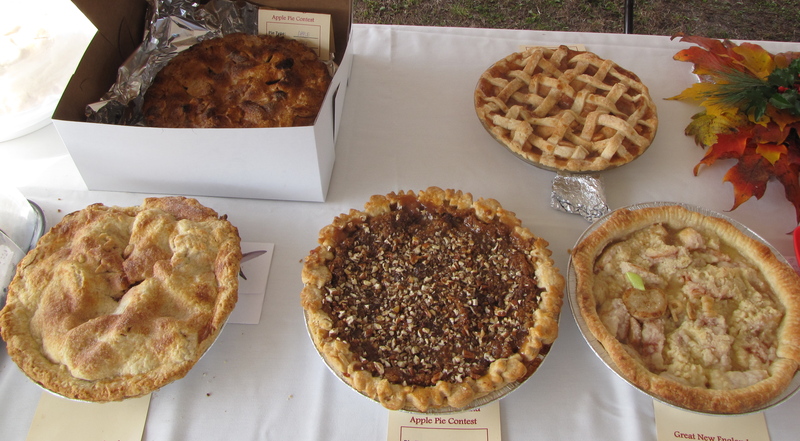 MORE THAN 60 pies from around New England graced the tables at the 3rd Annual Great New England Pie Contest on Saturday, October 20, at the 29th Annual AppleFest at Mount Wachusett in Princeton, Massachusetts. 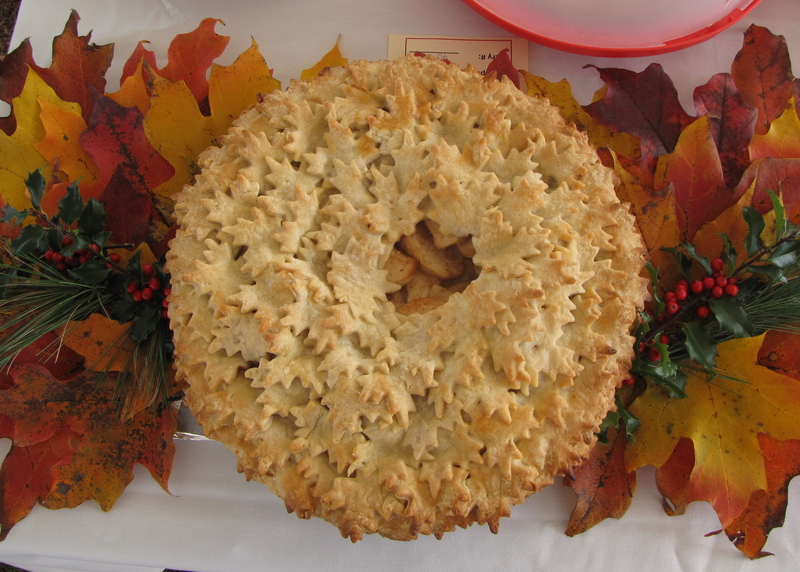 Both winners, Patricia Kuhn Bonita of Winthrop, Massachusetts, in the “Apple Only” category, and Denise Gokey of Fitchburg, Massachusetts, in the “Apple and Other” category, featured multiple varieties of apples in their pies, but both included Cortland and Honeycrisp. Judges were “Wachusett Pie Taster” Burt Gendron; Rick Leblanc, director of marketing for Massachusetts Department of Agricultural Resources; Rick Patrick, assistant director of Wachusett Mountain Ski School; Russell Steven Powell, author of America’s Apple; chef Juan Sebastian of Puerta Vallarta, Mexico, and Red Apple Farm; and Bar Lois Weeks, executive director of New England Apple Association. Pies were rated on the basis of flavor, texture, crust, appearance, and presentation. 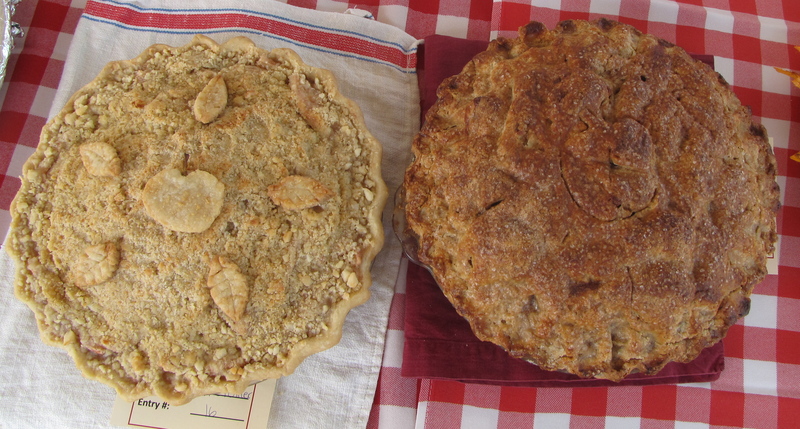 It was the second straight year that Cortlands were used in both winning pies. In large mixing bowl, combine all ingredients. Add apples and toss to coat. Transfer apples to pie crust. Set aside. Stir together brown sugar, flour, and oats. Cut in butter with pastry knife until mixture resembles coarse crumbs (sometimes I have to mix with my hands a bit). Sprinkle crumb topping over apples. Place pie on a cookie sheet to keep your oven clean. Cover crust edges with foil. Bake 25 minutes. Remove foil and continue baking 25-30 minutes, or until apples are soft when pricked with a fork. Remove from oven. Sprinkle with pecans and caramel topping. Cool on a wire rack, serve warm or at room temperature. Either way is delicious! 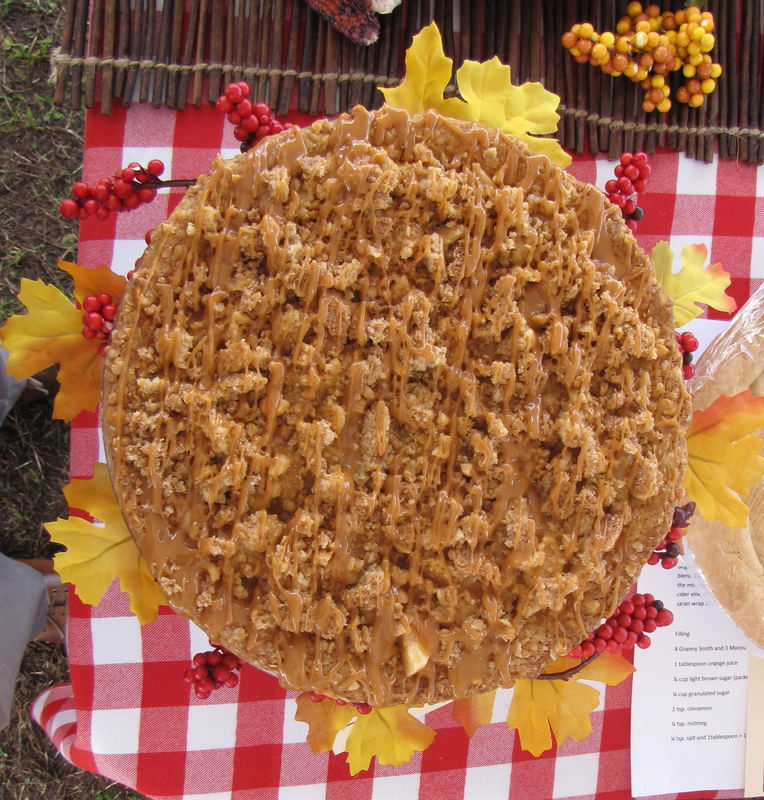 I have been making this pie for years, and it is always requested by my family during apple harvest! 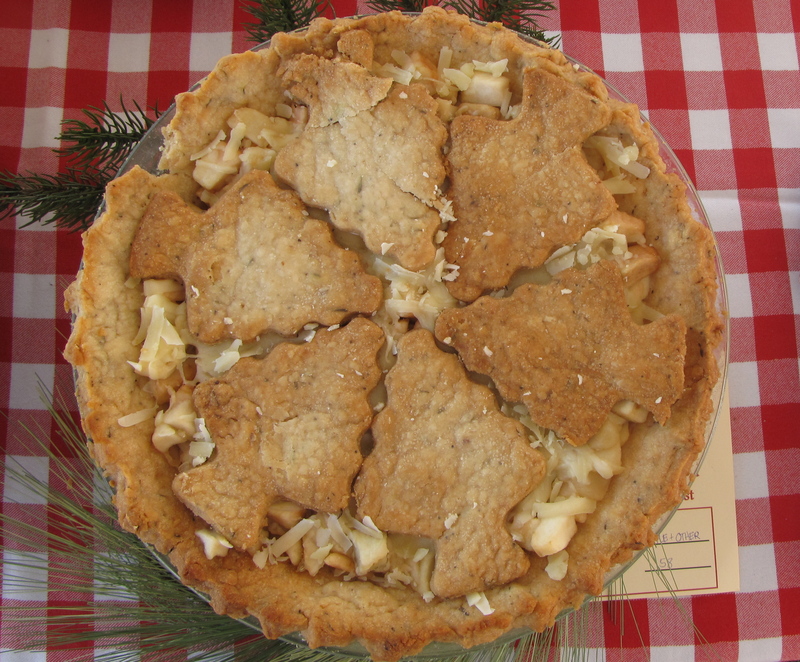 THERE’S A WHOLE SECTION on apple pies and pie-making in America’s Apple, the new book by Russell Steven Powell, including an account of the 2011 Great New England Apple Pie Contest and a winning recipe. Powell includes favorite apple recipes in his chapter on food. 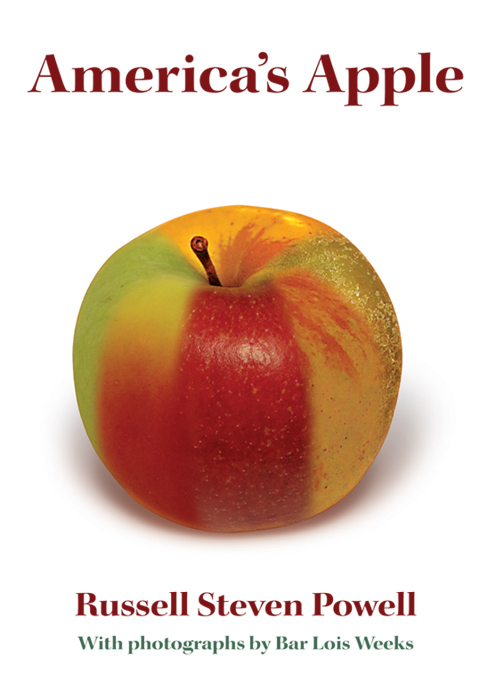 America’s Apple has chapters on apple drinks and heirloom varieties, plus an illustrated index of 120 varieties by Bar Lois Weeks. For ordering information, visit americasapple.com. LEARN HOW a pro does it!